>As I’ve mentioned, it’s bloody warm here in NYC right now and my skin is suffering. Happily, I have been extraordinarily lucky over the last couple of months to be testing out a brand new product from Estee Lauder which lands on UK counters June 7th! That’s tomorrow! Or today! Depending on when you’re reading! A few years ago, I went cray cray for the Idealist Skin Refinisher. I loved the scent, I loved the feel of my skin afterwards and, well, quite frankly I liked the shiny green bottle. So you can imagine how delighted I was when I was invited to the launch of the new Idealist Even Skintone serum and Cooling Eye Illuminator (I was very excited – Martha Stewart was there). Basically, the products are both amazing. There aren’t that many skincare products that deliver instant results and long term benefits but the Even Skintone Serum is one of them. Once I’ve applied the golden creamy product to my skin, I barely even need foundation. That is amazing. I do need a moisturiser with sunscreen (of course) but foundation? Fugedabowdit. As you can imagine, it’s chock full of awesome ingredients (I talked to a scientist about them but I was a bit drunk so I can’t really remember what she said. She was lovely though.) but all you really need to know is that it works. To the point where, when my sample runs out, I will be spending hard earned cash on more. And as for the Cooling Eye Illuminator, it’s pretty much a similar deal but combined with a lovely, lovely ceramic applicator which cools the eye area, making the results more immediate. 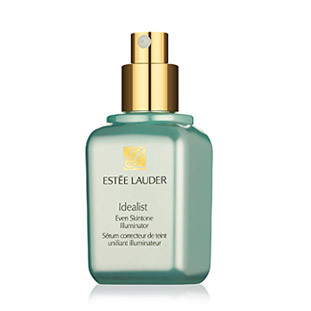 And it comes in two shades because Estee Lauder are awesome. 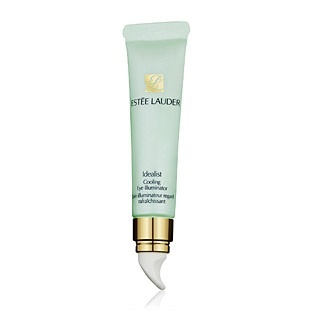 I was discussing eye creams with friends a couple of weeks ago and it turned out this one (particularly pretty) friend of a friend worked on the design team for Lauder packaging and had already tried the Cooling Eye Illuminator. Needless to say, our friends went away with very clear instructions on what they should be purchasing. Next ArticleOoh, news, reviews, giveaways!